Meet Charles Yeager, also known as Chuck. He is a former United States Air Force officer and record setting test pilot. 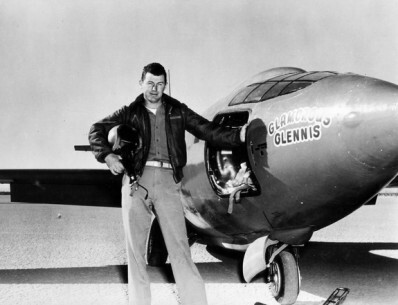 Among his many outstanding credentials, Chuck is known for being the first person to ever travel faster than the speed of sound. Breaking this barrier is commonly referred to as entering Mach 1, which is the ratio of the speed of an object (such as an airplane) to the speed of sound in the surrounding medium. On earth the Mach 1 is approximately 750 miles per hour. Ever go on a trip and feel the need to pack your trendy hat? We have, and when we went to wear our fabulous hat, it was crushed and had lost its shape. But, we’ve found a solution! Stay ahead with these hat tricks. Here’s how to do it: Pack around your hat by starting at the bottom of your suitcase. Place the hat inside and begin stuffing it with things such as socks or scarves. Once you’ve completed this step, pack other items around the brim to protect it and take some of the extra weight off. If one of your old favorites is already a wrinkled mess, try streaming out the wrinkles to save and reshape it! For more instructions on how to pack your hat, check out this video from the Travel Channel. 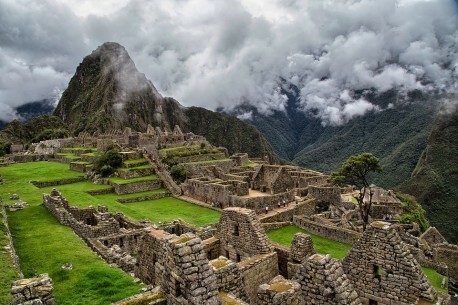 A trip to Peru offers opportunities for all sorts of adventure, such as rainforest trekking, Amazon wildlife watching or even a visit to the famed Inca Citadel of Machu Picchu. In October this area is home to the longest river rafting race in the world. The competition covers a 180-km stretch of The Great Amazon River and attracts rafters and spectators from all over the globe. A trip to Ireland’s second largest city is guaranteed to spark your enthusiasm for a good time. Cork is widely renowned for its great food, lively pubs and fascinating history. Additionally, autumn kicks off the seasonal folk and jazz music festivals which feature music appealing to all sensibilities. New Orleans boasts a proud reputation for being one of the most colorful and high spirited places in America. In the fall, the city hosts a plethora of cultural offerings including a film festival (now in its 27th year), a four-day Halloween extravaganza and the widely anticipated Voodoo Music and Arts Experience. Check out a more detailed description of these fantastic destinations and more options here. We hope to see you catching a flight to one of these destinations at GSP! Until next time, travelers. 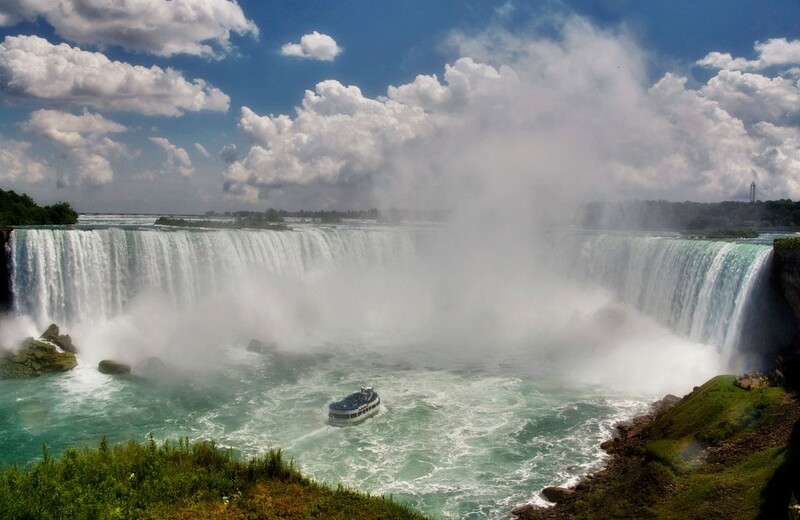 Did you know the only current commute options from Toronto to Niagara Falls include either a one-hour drive (depending on traffic), or a 90-minute train ride? 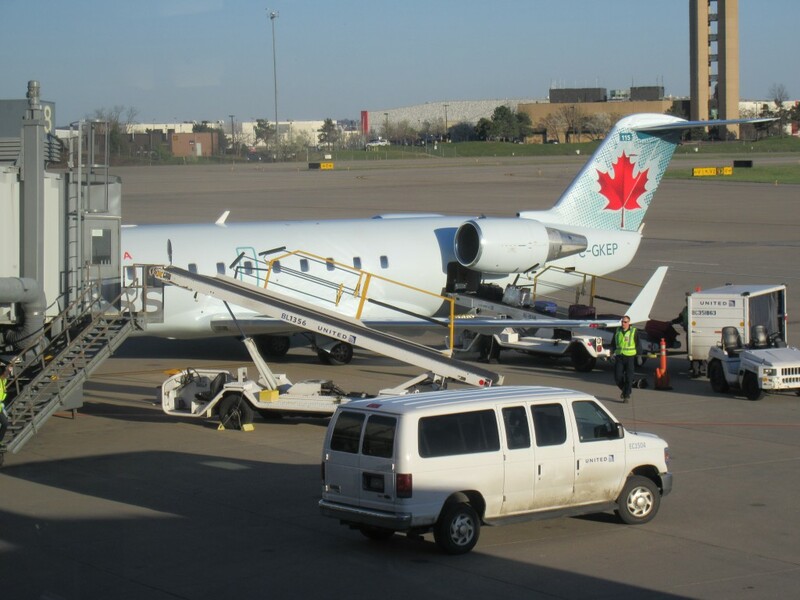 However, for travelers looking for a much shorter option, Greater Toronto Airways is offering a 12-minute flight starting on September 15. Commuter services will be taking place between Toronto’s Billy Bishop Airport and the Niagara District Airport in Niagara-on-the-Lake, offering morning and afternoon departures. 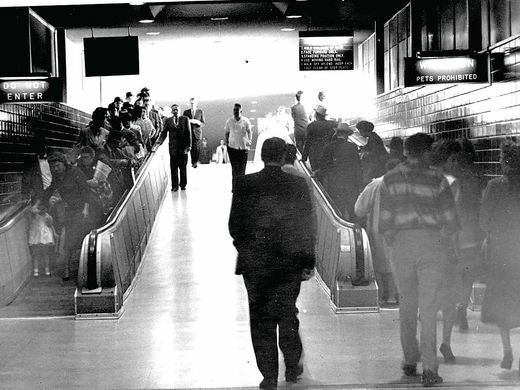 While this is not the world’s shortest, with commercial options which take as little as 47 seconds, it is still impressively shorter in comparison to alternative commutes. For service rates, booking information and more, check out this featured article from Travel and Leisure. P.S. This 12-minute flight also includes snacks and beverages for passengers to chew on during the quick flight! Within nearly nine decades of flight, female flight attendant uniforms have had a history of rich and sometimes outlandish style. 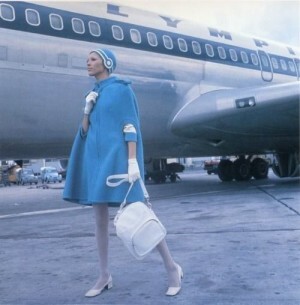 From go-go boots to power suits, airline uniforms have long been a part of cultural couture. 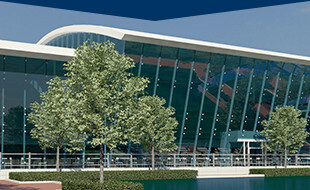 In fact, popular couture houses like Dior, Chanel and Valentino have all at one point designed for airline clientele. Contrary to uniformity, vintage air hostess fashion was vibrantly customized and imaginative. In the golden age of flight within the 1950-60’s, one airline had its hostesses wear bright colored coats with bubble space helmets! Much like company branding, stewardess uniforms were a part of an airline’s visual identity and made them unique. Similarly, unique designers benefited through branding with large-scale airline campaigns that brought large publicity. To this day, designs by prominent fashion figures, like Kate Spade and Vivianne Westwood, continue to keep fashion in flight. In tribute to iconic aviation fashion, the SFO Museum at San Francisco International Airport, has recently added a “Fashion in Flight” exhibition. This exhibition includes 70 pieces of featured airline uniform ensembles and accessories dating from 1930 to the present. To take a look at these flight attendant uniform designs throughout the decades and more, check it out here. Feel like you didn’t have enough time to explore and want to stay one more night? Download, Hotel Tonight, where it shows you hotel rooms for same-day and next-day hotel booking. What’s the best part? It’s user friendly and free! Are you all about checking your lists twice to ensure you have covered your tracks? Download PackPoint, a go-to packing app for detail oriented travelers. Put in your destination, length of stay and more, then the app will allow you to check off activities to generate a list of things you may need. Swipe on or off each item as you pack and you won’t forget a thing. Sometimes big cities or new places can be overwhelming, but with the help of Citymapper, getting around is made easy! Type in your starting and ending point and the app will generate routes you can take by train, bus, bicycle, foot and taxi. Prices are provided when needed and notifications of out of service transportation routes also show up. Do you have a lengthy layover or some extra downtime? Download Pocket, an app that lets you download interesting articles and videos. So, even if you can’t connect to the internet, you can watch or read whatever you please. For your next trip, check out these apps that are sure to help make your travel experience as smooth as possible. 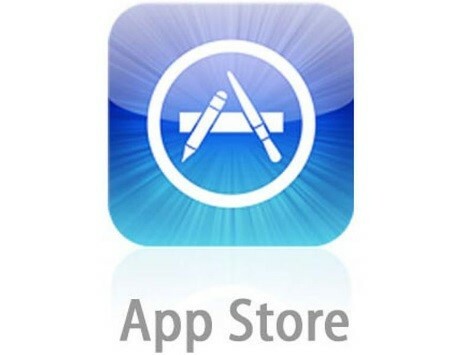 Interested in other apps out there for travelling? Read more here. Do you find yourself constantly rushing to make a flight? Micro Luggage might just be the luggage for you. 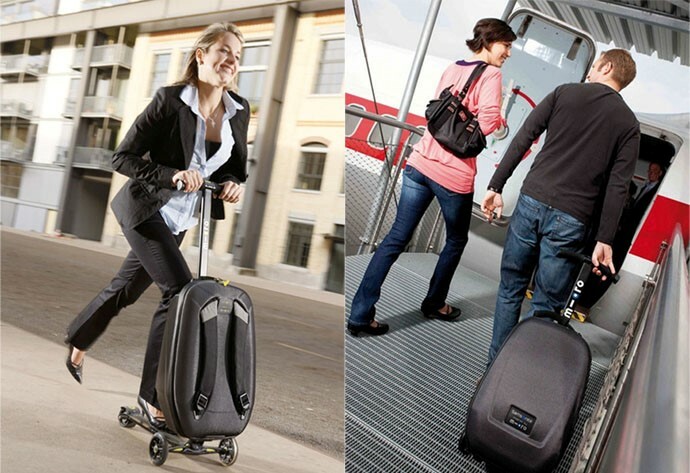 Unlike most rolling suitcases, Micro Luggage is actually a scooter with a carry-on sized bag attached to the front. With scooters making a comeback on sidewalks, this scooter suitcase could be what saves a flyer from missing their flight. The suitcase is big enough to fit all mid-flight essentials—a laptop, a couple of books, delicate souvenirs, and any travel documents. Micro Luggage comes in two designs: a standard black and silver version and a specialized version with a built-in Bluetooth speaker. If you’re looking to save the workout for another day, there’s also a motorized suitcase available called Modobag. Maybe next time we’ll see you rolling through GSP, cruising with plenty of time. When planning a trip, there are plenty of islands to choose from. 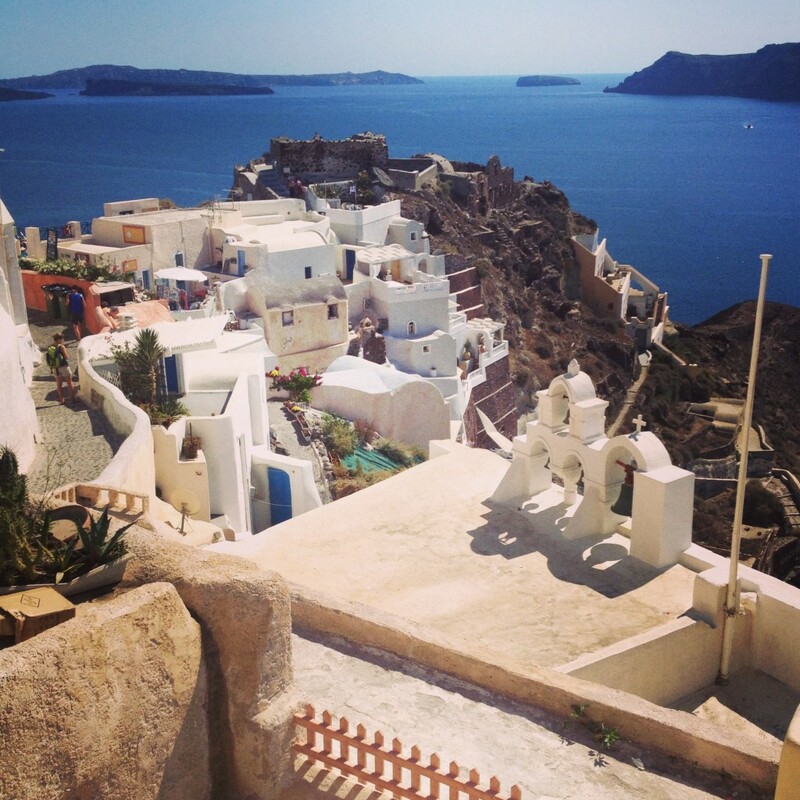 However, Europe’s islands seem to have it all — sun, sand, cuisine and culture according to Travel and Leisure. With an endless array of landscapes, activities and everything under the sun, these destinations offer an experience for every taste. Travel and Leisure recently asked their readers to take a survey, sharing their travel experiences of islands around the globe. The readers rated islands based on their natural attractions and beaches, activities and sights, food, friendliness and overall value. Among the top ten islands ranked, the islands of Greece make up half of the list. Even more interestingly, the Italian island of Ischia became No. 1 this year, knocking the Greek island of Santorini to No. 2 after five consecutive years. So, while summer may be coming to an end, it’s not too late to make a trip for some island Vitamin D and fun! Check out the full list of this year’s best European islands and more ‘best of’ lists from Travel and Leisure. Shampoo — While it might seem like a small necessity, it is one that is provided free in hotels and available in stores everywhere you go. Unless you plan on being deserted on an island, you can leave this item in your personal bathroom. Clothes for every occasion — Girls, we tend to be victims of the awful fear of not having that one black dress given the right opportunity to wear it. The best option when packing for unexpected adventures is to pack versatile clothing you are able to wear for multiple occasions. A single pair of black jeans and nice top is perfect for both guys and gals. Gadgets — Let’s face it, you do not need your iPhone, laptop, iPod, iPad and multiple technology accessories. Leave your toys at home, and experience your vacation through your own eyes. Chances are anyway; your iPhone can do all of your desired tasks in one. Guidebooks — It’s 2016 and once again you most likely have a smart phone that can answer your every question. If not, there are hotel staff and locals who know the best spots from experience. Your entire medical cabinet — While taking your needed medication is one, every other medicine and a medical kit is another. Take the medicine you really need and leave all of the others that can be bought or provided at home. Workout gear — Sure, foreign food and drinks can cause you to gain a couple of pounds… But, if you’re taking full advantage of your travel destination, walking around and looking at stuff will burn all those calories. If you feel the urge for extra sweat, do a home workout in your hotel room. Sunscreen — Just another item sold everywhere. You don’t need it taking up space in your luggage, or worse, spilling in your luggage. Valuables — Having something you love lost, stolen or broken is the best way to have your trip ruined. Avoid the heartache by keeping those beloved items in the safety of your own home. A pillow — We all have that favorite pillow we love to snuggle, but like everything else mentioned, it only takes up unnecessary space. Even little travel sized pillows can be an excessive pain to carry. Try bundling up a jacket or other items of clothing that can be easily packed back into a carry-on. To sum this up, just avoid packing ANYTHING that involves the thought…”what if X random situation happens?” If one really comes up, which they rarely do; do with what you have — the essentials. 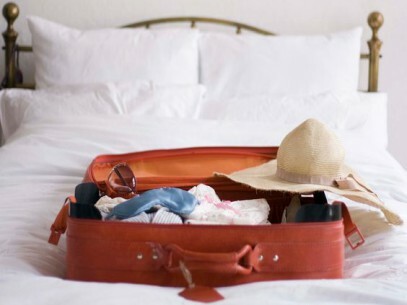 For more possible items not to pack, check out this article on packing traveling tips.